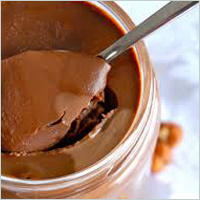 Lesys ®™ Crystalline Maltitol can be used in chocolate and hazelnut spreads to replace sugar and create reduced sugar versions of these popular but highly caloric favourites. As Lesys ®™ is so versatile and similar to sucrose in so many ways substitution is quite straightforward. Other high sugar regional specialities such as marzipan, halva and moon cake can also benefit from Lesys ®™ Crystalline Maltitol’s good taste, sweetness, good flavour release, reduced G.I. and calorie reduction.